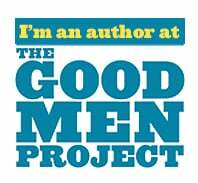 Some of my fondest memories are of the (borderline genius) hacks that we soldiers would come up with to make life out there easier. Like the time we made a homemade portable shower. Anyone who has multiple boys knows how stinky the car gets when they’re sweating…now, multiply that times 100, add in Oklahoma summer heat and stretch it out over a week…yeah, you want one of those shower now too, don’t you? Or the outdoor lamps we made with a used water bottle and chem lights (glow sticks for all you civilians). However nothing will ever outshine the portable toilet we created. Don’t worry, I’m not going to show you that one. My son is finally getting to an age where I think he would actually enjoy camping. And I’m in a place where I won’t contemplate leaving him out in the wilderness because he starts complaining 5 minutes after we unload the car. Plus, if you’ve been following along here at Papa Does Preach, you know I have a lot of free time coming my way now – perhaps it’s time to hit up one of the 84 that are dotted across the country. 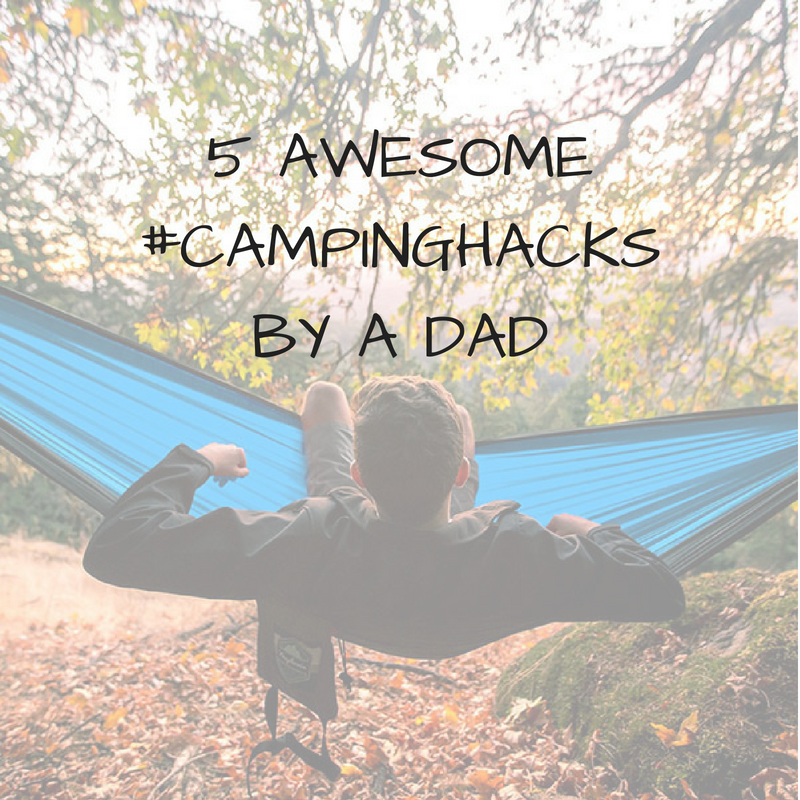 So, here are 5 awesome #CampingHacks, straight from a dad; to make your time outdoors…let’s say, when camping with kids. Camping Hack #1– Repurposing those annoying birthday candles that don’t blow out. Inevitably, every year, you’ll attend some kid’s birthday party, where the parent throwing the party, not only HAS to have the party at the loudest, most obnoxious venue possible, but also wants to be the center of attention. And what better way to do that, than being a practical joker? So what do they do? They stick those darn re-lighting candles that kids can’t blow out on their cake. And while the toddler is crying because the fire won’t go out, they’re laughing their butts off. The next time you find yourself in this scenario, resist the urge to grab the still-lit candles and put them out on the parents forehead and instead, if they’re throwing them away – ask to hang onto them. These candles, while annoying as heck at parties, are great for starting and maintaining small fires. No kindling; no problem!! Annoying party favors to the rescue! 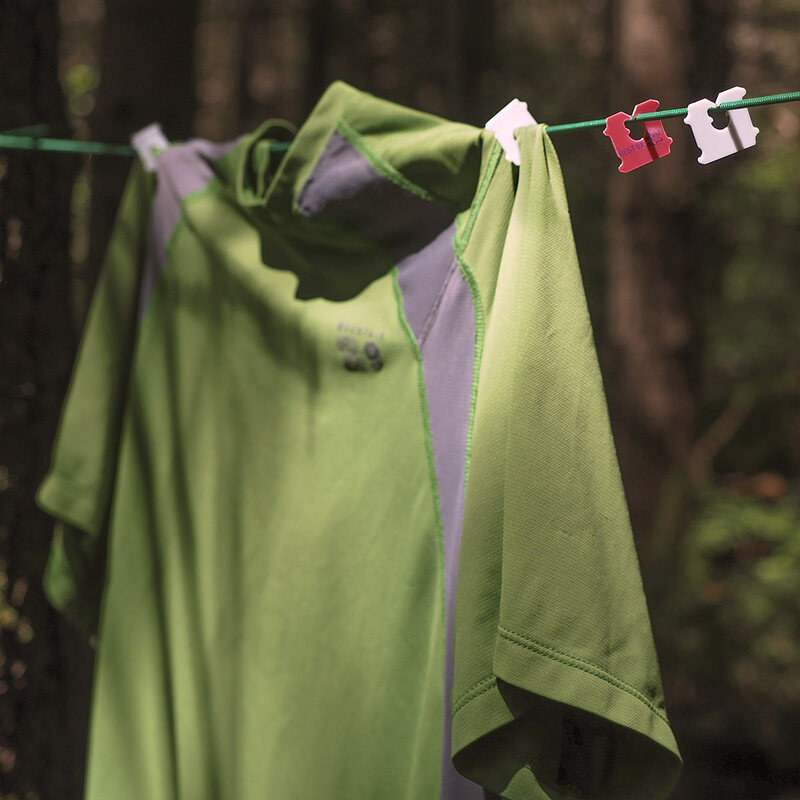 Camping Hack #2 – Use bread clips to hang clothes up to dry wet clothes. Are you familiar with that darn plastic clip that comes on packages of bread? Are you also familiar with losing it EVERY. SINGLE. TIME? We spend ten minutes looking for it, then inevitably spin the plastic bag and tuck it under the bread, because…who cares! Well, now you care! Pocket those clips before you lose them and keep them with your camping equipment. In a pinch, they’re great for hanging wet clothes up to dry. 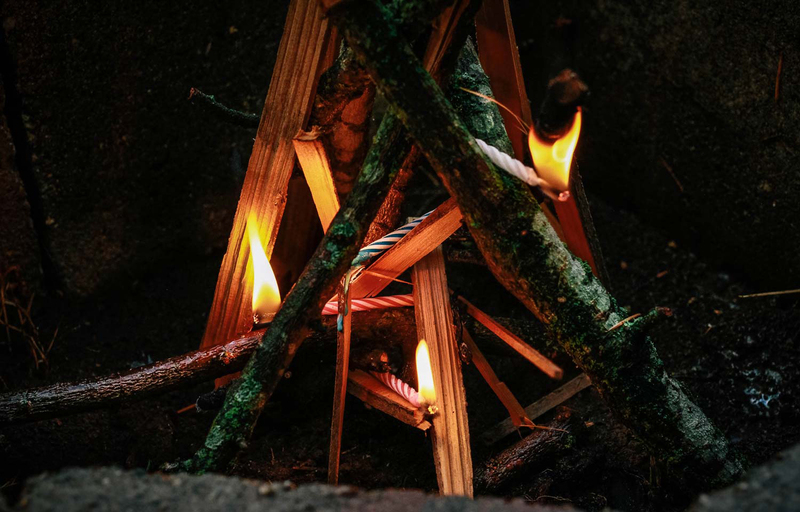 Camping Hack #3 – Sticks!!! Nature was doing selfie-sticks before it was cool. 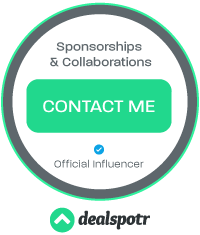 Look, I can’t really talk crap about anyone who is on their phone all the time, because as an online influencer; that’s literally all I do. 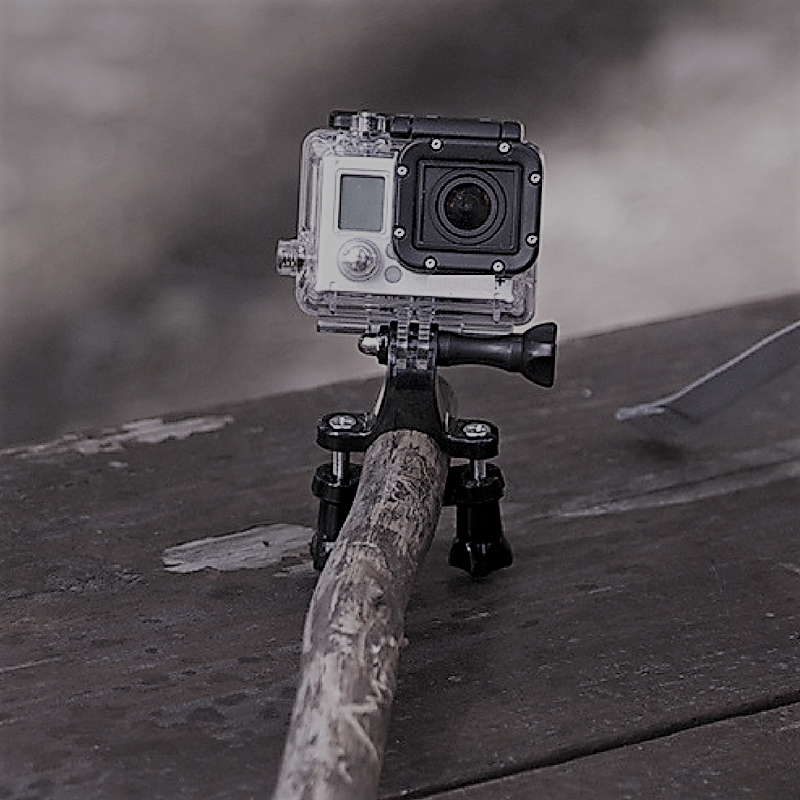 So, of course you’re going to bring your phone or camera with you when you go on your hikes, or whatever adventure you go on while camping, because the experience just won’t be complete unless you can take a selfie and hashtag it with some annoying phrase for your legion of fans…that you’ll never meet or talk to in real life. But what happens if you accidentally forget your high-tech, state of the art, selfie stick? How will you ever get the right shot? Will you really be #LivingYourBestLife??? Easy…calm down there, guy. Like any good parent, Mother Nature has got you covered. Literally…sticks are everywhere. Figure it out! 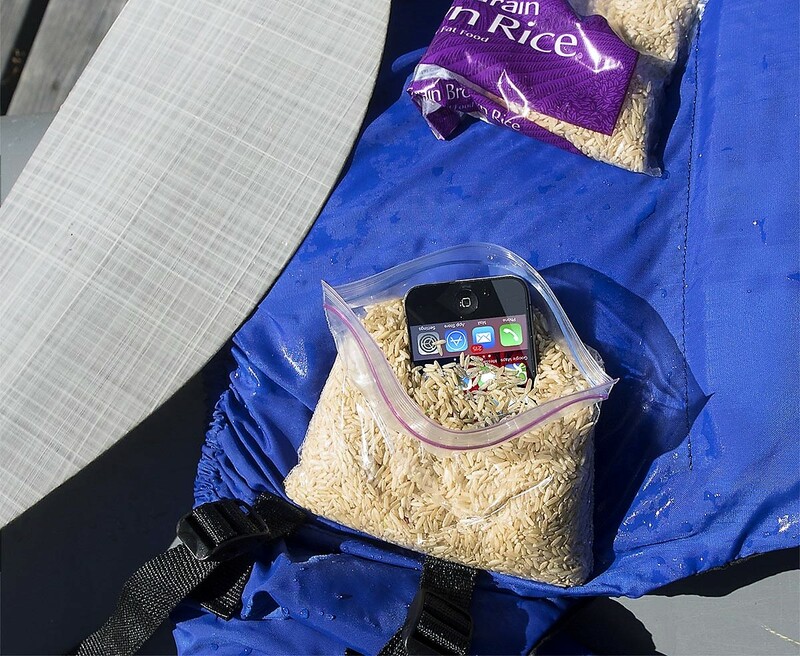 Camping Hack #3 – A bag of rice, because it helps reception. I’m not sure if you know this or not, but kids tend to eventually ruin everything of value. Remember that phone/camera I mentioned above? Yeah, it’s probably going to end up in the water…especially if you have more than 1 kid. 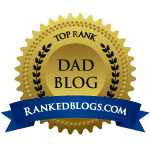 Children are the closest we’ll ever come to cohabitating with Velociraptors (thankfully). And just like those prehistoric predators, kids travel, and attack, in packs. No sooner are you focused on one of your kids doing something super cute, you whip out your phone to capture the moment, when you’re blindsided by another kid, streaking out of nowhere, and just to see the picture you just took. And then….SPLASH!!! Your phone is in the drink, sinking faster than the third kid’s pants, who decided this was the right spot to go potty in public. But, no worries. All you need is a bag of rice; stick your phone or camera in, and let it sit for as long as possible to draw the moisture out. Kill time by chasing your kids around, proclaiming all the things you’re going to do to them once you get your hands on them. Camping Hack #5 – Careful, that one isn’t coffee. 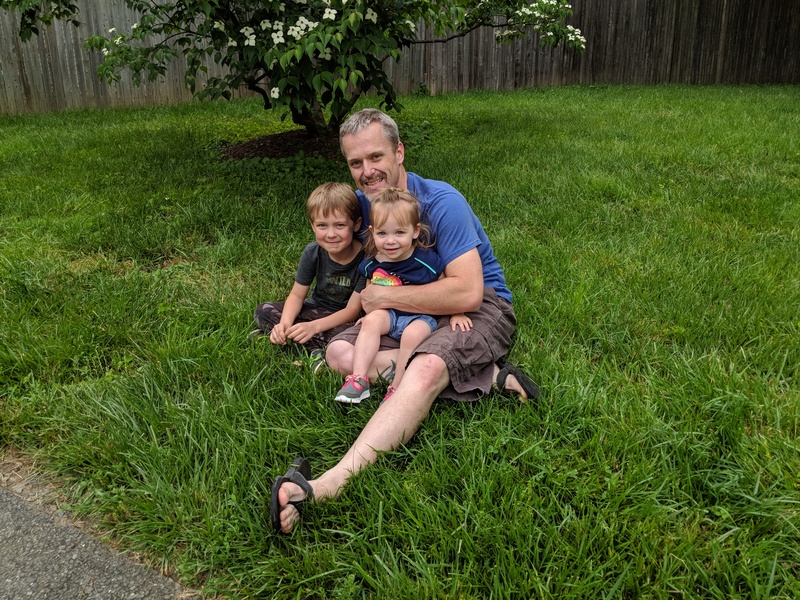 When in nature, you are very likely to encounter small creatures that will make your life harder…no, other than your kids. More often than not, they’ll be racoons. Like children, racoons are mischievous little buggers, and try to get into everything…and they will! If you’re not careful, your morning will start out finding your food gone, items stolen, and possibly your TP shredded. Nope…that’s not right. 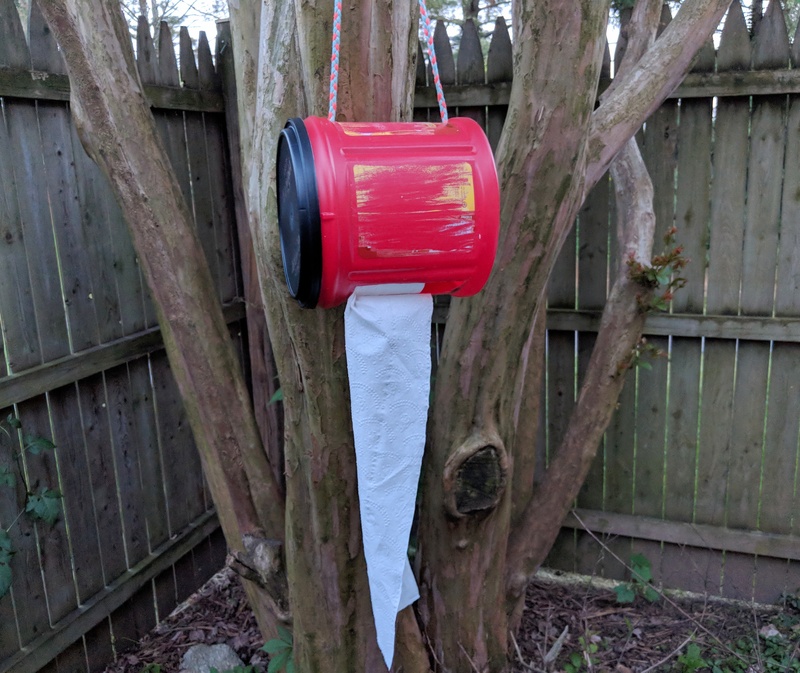 Next, cut a slit on the bottom of the container; enough for the TP to easily come out of, and then fasten the string, and hang from a branch. VOILA …portable TP dispenser. Look, odds are, when you take kids camping – just like when you take them anywhere, more things will go wrong than right. To have to best time, just remember the best hack of them all; slow down, take some deep breaths, and just enjoy the moment. You’re out in nature with your family. Enjoy it! But seriously…TP in the can. Do that…it’s a life saver. Check out this video I made all about #CampingHacks, and the amazing contest Jellystone Park Camps and Resorts are running until June 10th. Click the link below and tell them your favorite, or worst, #CampingHack, and you could a dream trip.